The Topsider's reliability and convenience has long been trusted by boaters for easy, no mess oil changes, and other marine and automotive maintenance applications. 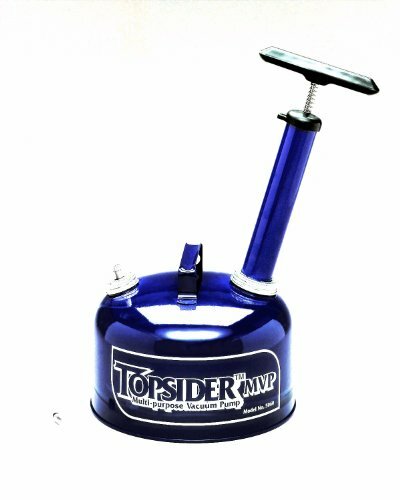 No electricity required, the Topsider multi-purpose vacuum pump-out system uses a vacuum to pull oil out of your crankcase. A 12 inches diameter stance provides a stable base, eliminating potential tip-overs and spills, simply slide the withdrawal hose down your dipstick hole, open the valve and wait for 8 to 10 minutes. All of your old oil will be drawn into the Topsider's 8 Quart container. Very easy to use, suction probe and instructions included.